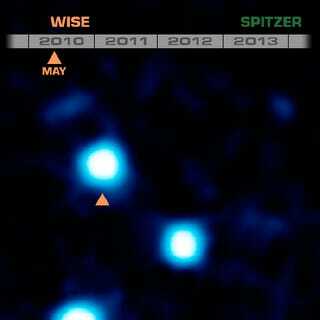 A very strange object called WISE J085510.83-071442.5 lies just 7.2 light-years from the earth. 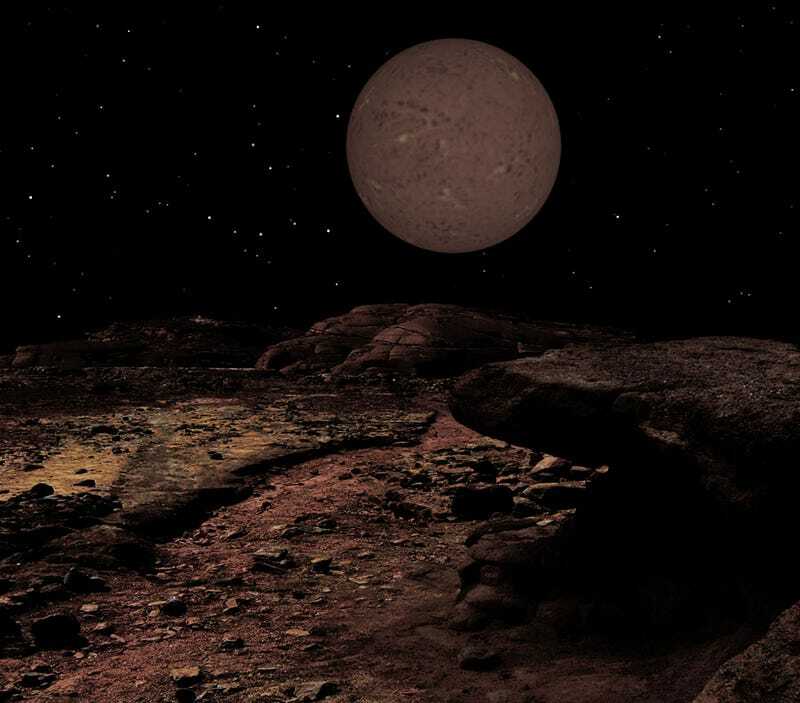 Discovered by the Wide-field Infrared Survey Explorer (WISE), it is nominally one of those not-quite-planets-not-quite-stars known as a brown dwarf. Because they are so much smaller and cooler than stars, brown dwarfs appear red and faint. But astronomer Kevin Luhman noticed that WISE J085510.83-071442.5 was very red and very faint...partly because it is small—perhaps only 2 to 10 times the mass of Jupiter—and partly because it is so cold. It's temperature, Luhman found, is only about 9° F (-13° C). That's well below the freezing point of water. In other words, the brown dwarf is literally ice cold. The fact that it is so cold is a clue to its age. If it started out at a few thousand degrees it would have taken somewhere between 1 and 10 billion years to have cooled to its present temperature. It may well be that instead of being a brown dwarf, this object may in reality be one of the half dozen or so mysterious rogue planets, the first of which was first observed in 2010. These are worlds that, as the result of some catastrophe, were ejected from their home systems and now orbit the galaxy directly, as our sun does. Luhman found that WISE J085510.83-071442.5 is moving in relation to the background of stars. Most stars do, but this one appeared to be really traveling. This speed combined with a measurement of the body's parallax (the amount by which it appeared to shift against the background stars as the earth moved from one side of its orbit to the other) enabled Luhman to figure its distance. WISE J085510.83-071442.5 turned out to be the 7th closest star to our own.